Lizziey started her career at Hill & Abbott as a secretary in our Conveyancing team. In 2015 she moved in to the role of Legal Assistant. Working closely with Alison, Lizziey is now recognised locally as an expert in her field. With her eye for detail and passion for client service she has become the firm’s primary contact for first time buyers. Lizziey is able to guide clients through all aspects of a sale and purchase, making the process easy to understand and as stress free as possible. 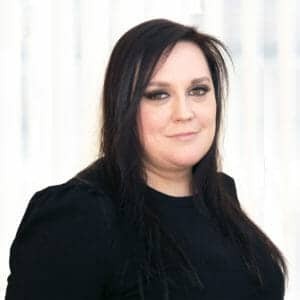 Supervised by the Head of Department, who has over 11 years’ experience, Lizziey’s wealth of knowledge and years of experience allow her to train and guide new team members through the systems and processes, allowing her to share her excellent practices and client service. Hill & Abbott have again provided us with an excellent conveyancing service. We will be recommending them to friends/family and business colleagues.